Bradley Cooper directs and stars in this romantic musical drama alongside Lady Gaga. 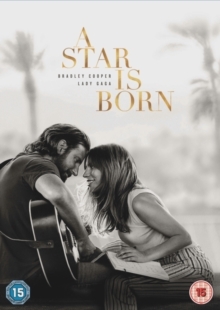 The film follows troubled country music star Jackson Maine (Cooper) as he meets and falls for aspiring singer-songwriter Ally (Lady Gaga) after seeing her perform at a roadside bar. Recognising her talent, Jackson invites Ally to perform with him and the pair forms an onstage partnership that sends her soaring towards pop superstardom. As she strives to achieve her dream, their offstage relationship begins to break down as Jackson struggles to maintain control over his inner demons.